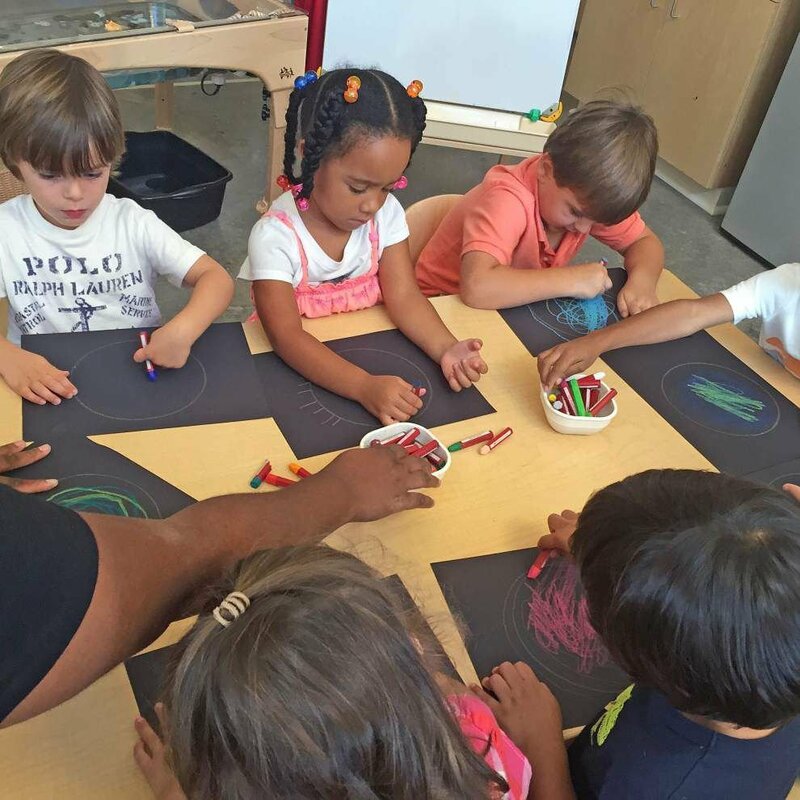 Photo provided by Isidore Newman School -- Green Trees students make their own mandalas as a classroom art project. Advocate photo by SOPHIA GERMER -- Lori Parell sits on the couch with Grant, 6 months, in their home in New Orleans, LA, Sunday September 13, 2015. Grant Pannell is the one who just got into daycare, after six months of being on a wait list. The Parell family faces a similar struggle many young parents face finding good daycare. Advocate photo by SOPHIA GERMER -- Dominic 3, and Randall Jr. 5, sit on the couch with their father Randall Parell in their home in New Orleans, Louisiana, Sunday September 13, 2015. The Pannell family faces a similar struggle many young parents face finding good daycare. Advocate photo by SOPHIA GERMER -- Dominic 3, and Randall Jr. 5, play on an iPad in their home in New Orleans, Louisiana, Sunday September 13, 2015. The Pannell family faces a similar struggle many young parents face finding good daycare. Advocate staff photo by JOHN McCUSKER -- Thomas, and Christina Walsh and their baby Leah September 16, 2015. Advocate staff photo by JOHN McCUSKER -- Thomas, and Christina Walsh and their baby Leah September 16, 2015..
Advocate photo by SOPHIA GERMER -- The Pannell Family outside their home in New Orleans, LA, Sunday September 13, 2015. The Parell family faces a similar struggle many young parents face finding good daycare. Put on waiting lists everywhere else they turned, the Pannells spent six months leaning on family members to watch Grant while they juggled two jobs, cared for their two other young boys and pursued the desperate hunt for an affordable alternative. At one point in August, the Pannells thought they had finally caught a break. The YMCA Castle Kids Child Development Center, a well-reputed and nationally accredited school that seemed within their budget, called to say there was an opening. Then they learned that tuition at Castle Kids had jumped from $171 a week to $275 a week in the few months since they had turned in their application. “I mean, who can afford that?” said Randall Pannell, the frustration still audible in his voice. Young families across New Orleans and the rest of the state are experiencing the same sticker shock. The average weekly rate for a seat in a licensed day care center in Louisiana was $130 a week in 2014, up 12 percent since 2010 and more than 44 percent higher than in 2005, according to the most recent Louisiana Child Care Market Rate Survey. And while the number of children under age 5 has dropped in New Orleans since Hurricane Katrina, the number of licensed day care centers — as well as the overall number of children they accept — has declined as well. The pinch has forced parents to make sacrifices so they know their children are well cared for. Some have gone into debt, while others have passed up job or educational opportunities in order to stay home. Those lucky enough, like the Pannells, have other family members able to share the burden. But those who can’t afford one of the dwindling numbers of licensed or registered facilities often settle for inadequate or inferior care, according to Melanie Bronfin, executive director of the Policy Institute for Children, an advocacy group. The Pannells eventually found a spot for Grant at a day care that charged $800 a month, but other parents haven’t been as lucky. Thomas Walsh, a freelance audio producer, and his wife Christina, a physical therapist, have both had to reduce their work schedule to part-time hours because they haven’t found affordable day care for their 8-week-old daughter, Leah. The couple has a nanny watch Leah at their home in Broadmoor but can’t afford to have her stay more than 20 hours a week. The rest of the time, they take turns watching the baby and pursuing freelance work opportunities. The Walshes have considered various day care options but have found that most centers are either out of their price range or don’t seem safe. They looked at one promising center, enticed by its tuition rate of $150 a week. But then they heard stories about children getting hurt there. Inspection reports show that in February a child was taken to the doctor for bruises he suffered while in the center’s care. “I’m stuck between where I’m comfortable leaving my precious baby there, and it’s not so expensive I can’t afford it,” Christina said. The people who run day care centers see the rising demand as well. 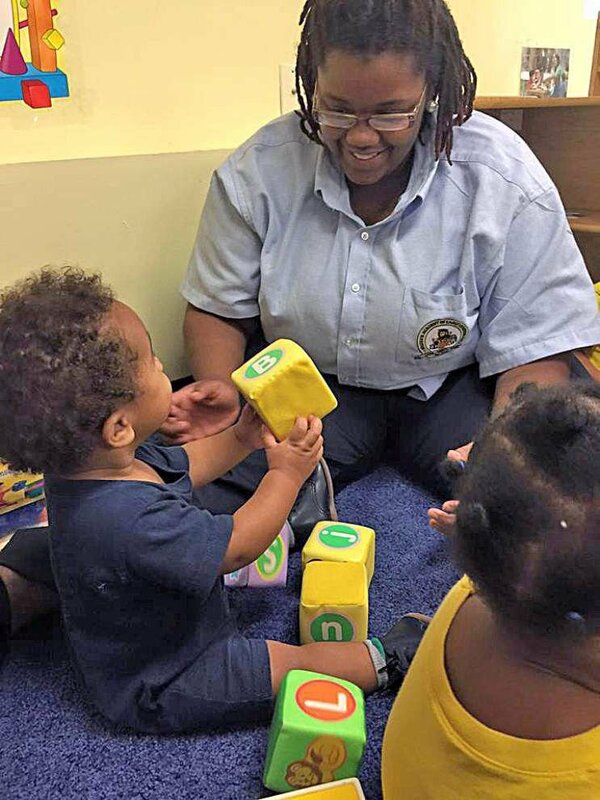 Rochelle Wilcox, the owner of the 7th Ward-based Wilcox Academy of Early Learning, gets 10 to 12 calls a day from parents — a number she said increased “significantly” in the past couple of years. Elizabeth Elizardi, the director of Green Trees, the new early childhood learning facility at Newman School, can relate. Now in its first year, the school received more than 300 applicants for 150 spots. “What we’ve seen as a trend across the city is that there’s really a lack of quality infant and toddler care,” Elizardi said. Several factors are probably involved in driving up costs. In New Orleans, the number of children below age 5 is actually down 31 percent since Hurricane Katrina, according to data provided by the advocacy group Agenda for Children. But the number of licensed day care centers in New Orleans is down even more, by about 42 percent. The number of slots in licensed day care centers has fallen about 28 percent since 2005, to 11,500. At the same time, New Orleans has seen the near-disappearance of so-called “family childcare homes,” day care facilities that are registered and can receive public funding for low-income families but that aren’t supposed to accept more than six children at a time. There were 2,682 family childcare homes in New Orleans 10 years ago; now there are just 24, likely in part because of new certification requirements like CPR, first-aid training and criminal background checks. Bronfin also chalks up some of the increased competition for seats at certain centers to a growing awareness among parents about the importance of early childhood development. These days, parents want more than just babysitting services for their children, she said, pointing to research by experts like James Heckman, an economist who claims that up to 90 percent of a child’s brain development takes place before age 5. “The highest rate of return in early childhood development comes from investing as early as possible, from birth through age 5, in disadvantaged families,” Heckman has written. Research shows that a good early education can have long-term effects. As adults, those children tend to earn higher wages and are less likely to engage in criminal activity. Indeed, while families like the Pannells and the Walshes are caught in the middle — unable to qualify for state aid or afford pricier options — low-income families are having a more difficult time finding day care options as well. Budget cuts have forced the state to tighten eligibility requirements for low-income families seeking assistance. The number of children enrolled in Louisiana’s Child Care Assistance Program dropped from 40,000 in 2008 to 15,000 in 2014. Bronfin worries that the pinch is forcing parents to send their children to cheaper, unregistered day cares, where the state has no oversight at all. That’s because Louisiana is one of a handful of states that require a license only for day cares that oversee seven or more children. If a day care provider is supervising fewer than six children, it isn’t even required to register — meaning there’s little to prevent a provider from breaking the rules. It’s unclear just how many unlicensed, unregistered day care facilities exist in Louisiana. But the dangers involved were highlighted in June, when 22-month-old Angel Green died in Baton Rouge after being left unattended in a sweltering van.